Stepping into the brisk morning air this weekend, the fleeting touch of a snowflake drew my eyes from my beleaguered mud field of a back yard (thanks both to torrential rains and my over-enthusiastic dog) to the muted-bright of the winter sky. Watching the snow fall between the branches of our birch tree, my mind drew paths from cycles of seasons and soil nutrients, and to complexity’s need for stillness. 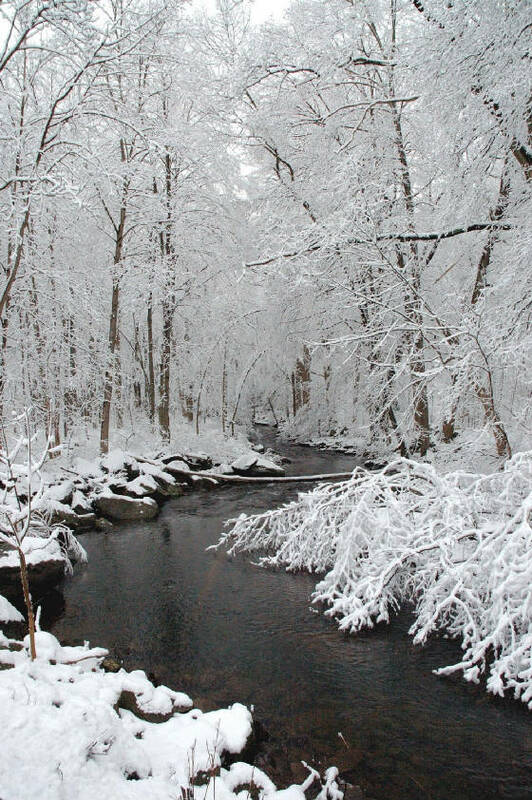 There is a stark beauty to winter that’s easily subsumed in habitual griping about the weather and our flailing efforts at ‘productivity.’ Our tendency to rely on unnecessary binaries (viewing the world in black and white terms) is evident in the assumption that if summer is good then winter, as its antipode, must be bad. Alternately, those who practice Bio-Dynamic agricultural believe that winter is the time when the earth’s energies turn inward, repairing and preparing for the exuberant work of summer to come. To quote Rudolph Steiner: “I know about what I am as man only when I don’t live along stolidly, but when I allow myself to be lifted up to the heavens in summer, when I let myself sink down in winter into the Earth mysteries, into the secrets of the Earth.” Our challenge is to resist the push to irrational business and do the same: turn inward, and accept winter’s call to the slow work of cultivating complexity. 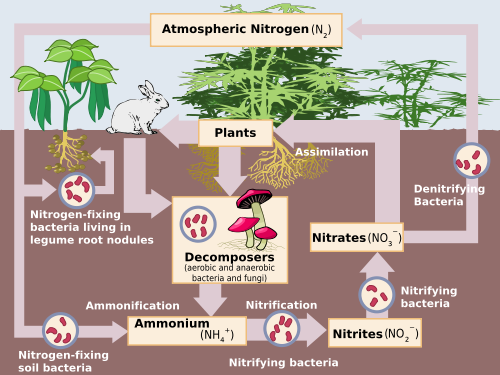 Many moons ago, Dr. Krista Jacobsen made a heroic effort to teach me about the soil carbon and nitrogen cycles. With saintly patience well suited for winter, she walked me through the processes by which essential elements are taken-up, taken-in, and re-integrated into ever more complex molecules that are the bedrock of our corporeal world. Grappling with diagrams and flowcharts, I was struck by the almost mystical quality of the biophysical transformations indicated by a simple arrow; intimate relationships between soil-microbes, decomposing beings, the air above, earth below, and the water between. All that life transmogrified in the stillness of the earth. If we find the joy in eating with the seasons, might we also explore what happens when we think with them? Slowing down from the raucous exuberance of summer, we might find unexpected gratitude for moments of planning and contemplation as we bundle up with blankets and books (or seed catalogs). We need not rush to solutions or action in these months of winter, but rather embrace the chance to grapple. Winter is my best season for reading and thinking. I’ve been alternating my attention between a wonderfully befuddling book of social theory by Donna Haraway (full of sea-monsters and butterflies) with a more practical effort to learn about small-grain production. Bryan, our extension associate, and I have been parsing the fall’s lessons to see what needs distilling in publications or worksheets. Dr. Maynard has been sequestered in his office with student advising and syllabus revising, and Chef Tanya is keeping the kitchen full of the warm smells of slowly developing Burgoo and the methodical work of deep cleaning and reorganizing. We’re all sharing countless pots of coffee, clasping hot mugs between chilled hands and gazing out the window while our thoughts and plans coalesce. Just as a fallow field is a site not of idleness but of hidden transformations, we have these days of waxing daylight to assemble the experiences we’ve gathered into new understandings and approaches. Working with the clarity of winter air, we can think with this season, abandoning our need to divide our world into the good and bad. Fueled by the quiet intensity of winter’s chill, at this moment between earth’s inhale and exhale, let us sink deep into the rhizomous processes of exploration and transformation and see what spring awakens.